Sun Viking Lodge Warmly Welcomes You! 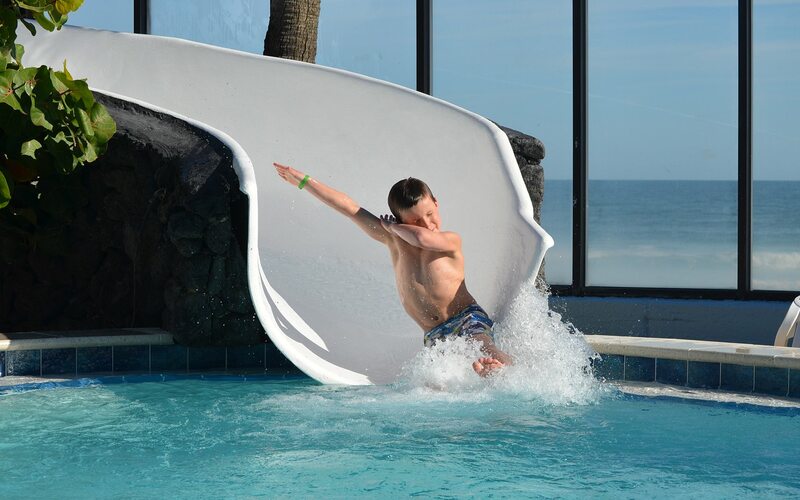 Plus . 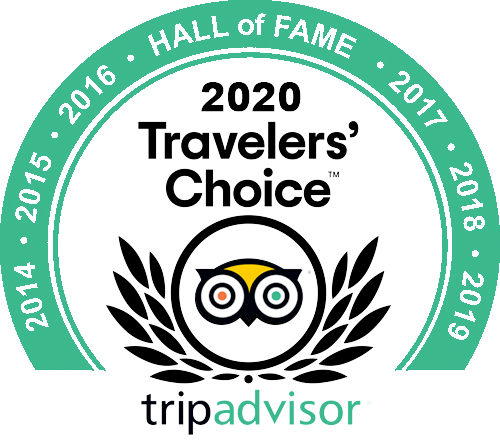 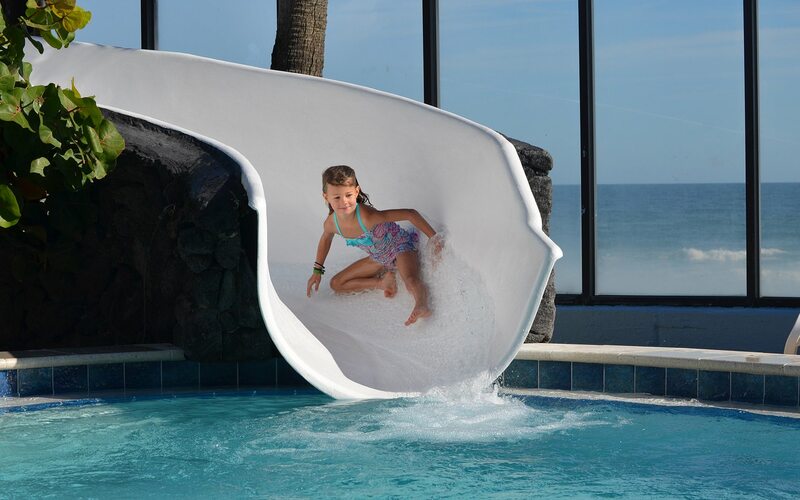 . . after your first stay, you'll receive 25% on all future stays! Use the reservation box to the right to search for availability and the promo code will automatically be applied. 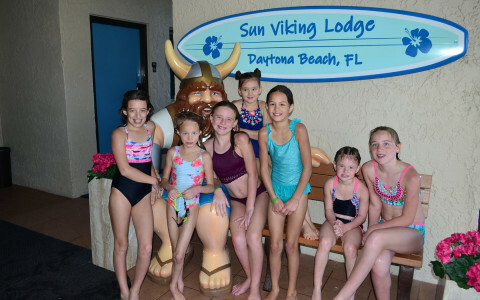 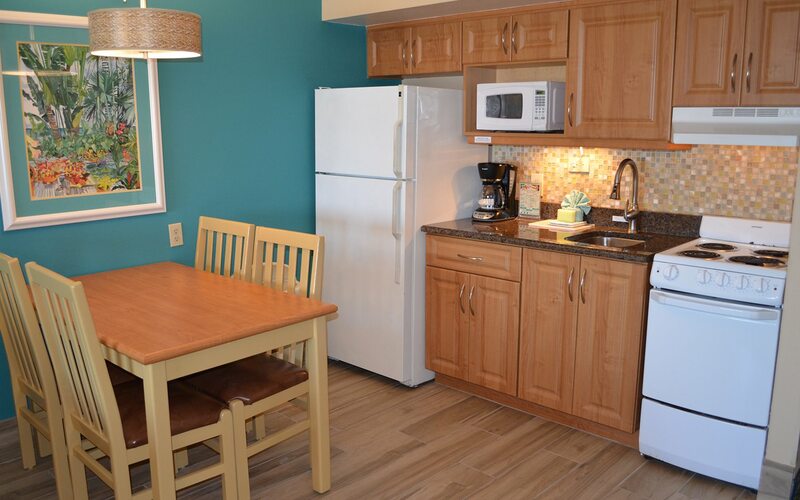 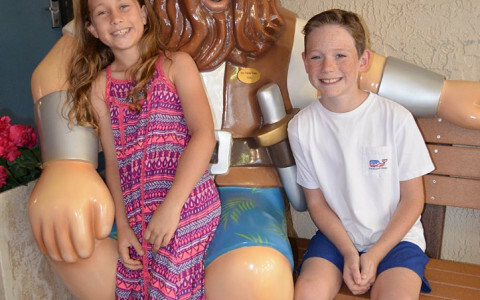 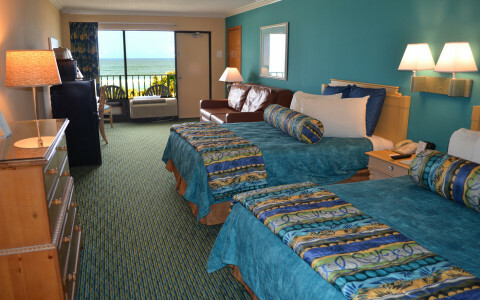 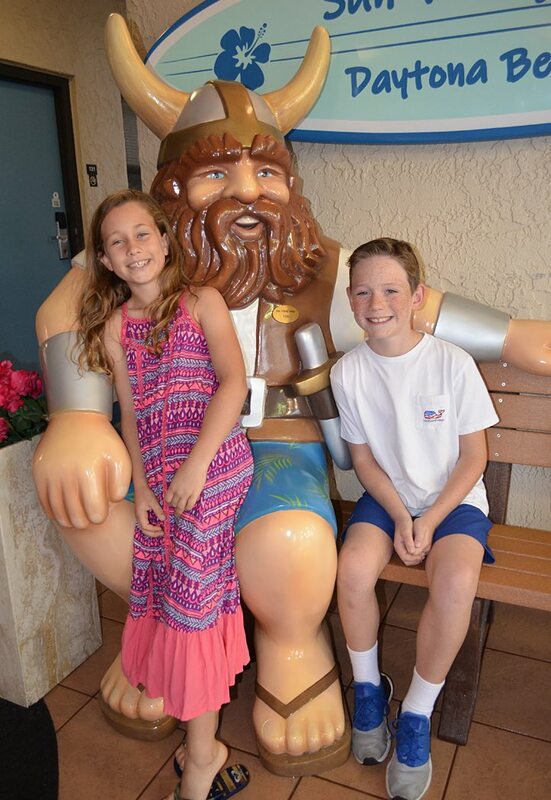 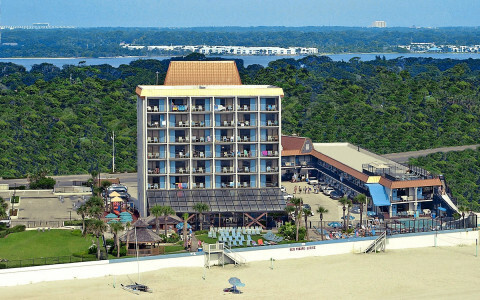 Catering to families and couples, the Sun Viking Lodge is located oceanfront on a quiet section of Daytona Beach, featuring beautiful coastal views of tropical blue ocean waters. 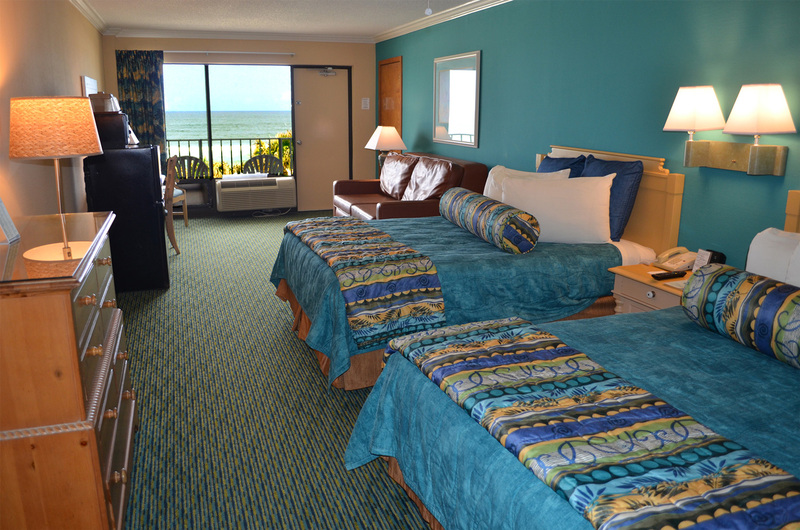 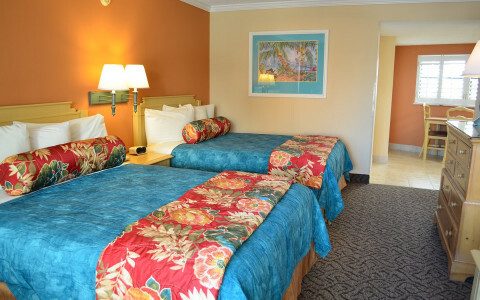 Our unique family resort offers comfortable accommodations in a relaxed atmosphere. 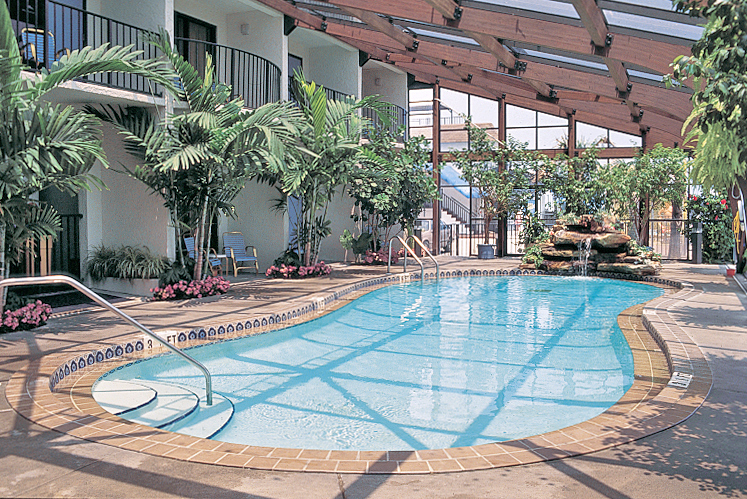 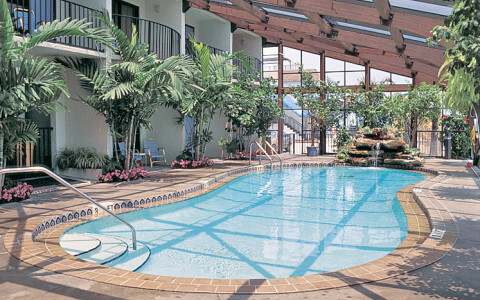 Enjoy extensive FREE amenities including a popular 60-foot waterslide, heated outdoor pool, heated indoor garden pool, hot tub, fitness room, sauna, kiddie pool, two game rooms, basketball goal, corn hole, shuffleboard, playground, B-B-Que Grills and our popular year-round FREE guest recreation program including poolside Bingo! 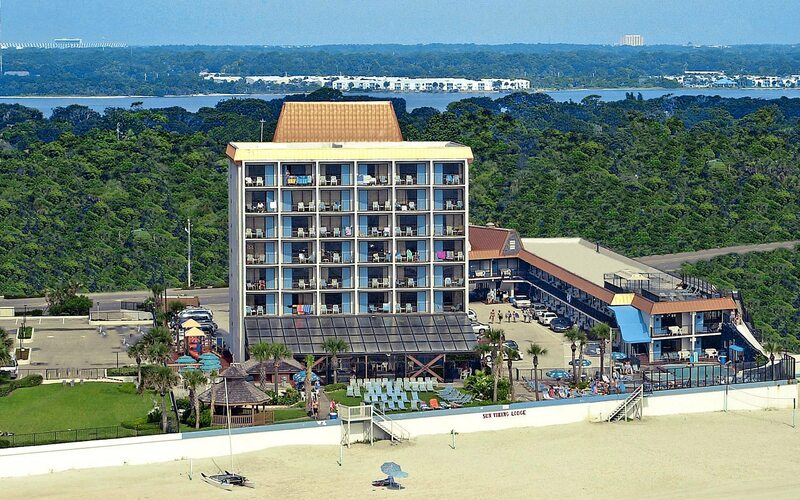 And of course, there are no resort or parking fees!